Congratulations to the Tri-Cities Prep Mock Trial team of: Angelina Nacke, Delaney Schroeder, Leo Schroeder, Tedra LaFreniere, Vanessa Nolan, Maya Linn, Teddy Moore, Cherise Russo, Gretchen Gormley, Coltin Tinnin, and Natalie Bohrmann. The team took 2nd place at districts earning them an opportunity to compete at the state competition at the end of March. Mock trial gives students the opportunity to look at how the judicial system works, interact with professionals in the legal field, and compete against other schools in a mock trial. The skills that students learn include: research, critical thinking, and public speaking. Mock Trial has been a part of Tri-Cities Prep since the school started and has continued throughout the years. Thank you to volunteer coach, Miriam Gormley, and other volunteers that have helped provide coaching, guidance, and support to the team. We wish the team the best of luck at the state competition! …made the Honor Roll for the 1st semester of the 2017/2018 school year! Thirty-seven students achieved a 3.85 grade point average or higher, while twenty-five of those students earned a 4.0. It is no surprise why there are so many college acceptances coming in for our seniors! 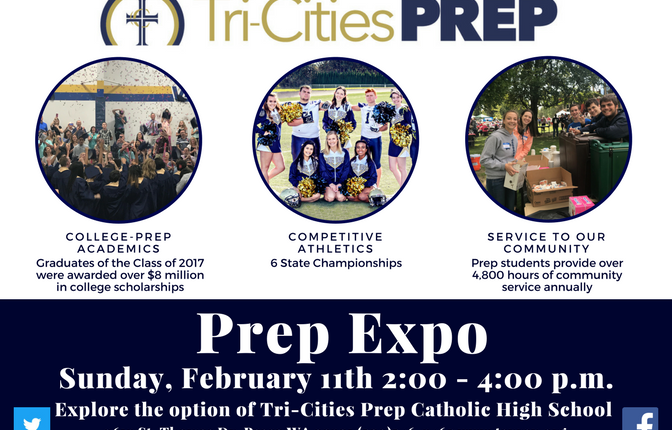 In the event that you missed attending the Prep Expo in December, we are giving you another chance to learn what sets Tri-Cities Prep apart from other high schools in our area. The Prep Expo – Round Two is set for Sunday, February 11th from 2:00 p.m. to 4:00 p.m. Join us for an introductory presentation beginning at 2:00 p.m. and spend the rest of the afternoon touring the campus and speaking with students, coaches, faculty and board members. Mandi Wilson ’19 goes to London! The Tri-Cities Prep cheer team participated in a summer camp this past year to sharpen their skills and learn some new tricks for the upcoming cheer season. During the camp, 10 year cheer veteran, Mandi Wilson ’19, was one of the recipients to receive the All American Award. 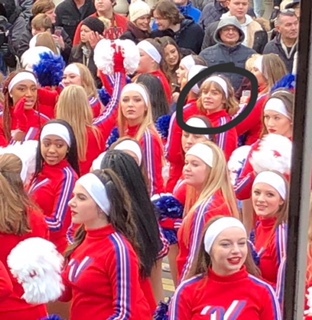 Winning this prestigious award gave her the opportunity to travel with 500 other award recipients from across the nation to perform in the New Year’s Day Parade in London. Mandi is one of Tri-Cities Prep’s stars. She is a young woman of many talents. She balances her college-prep studies, participates with competitive cheer, contributes as a yearbook photographer, and recently competed at the state swim competition with the RHS Swim Team. We are very proud to call Mandi a Lady Jag! Fish Farming at Tri-Cities Prep? Students in grades 1st thru 6th, are invited to attend a free skills clinic on Wednesday, December 27th from 10:30 a.m. to 12:00 p.m. Tri-Cities Prep varsity coaches, Mike Conner and Joe Makay, along with their coaching staffs and current players, will provide participants with training in ball handling and shooting skills along with the opportunity to have some fun during the holiday break. 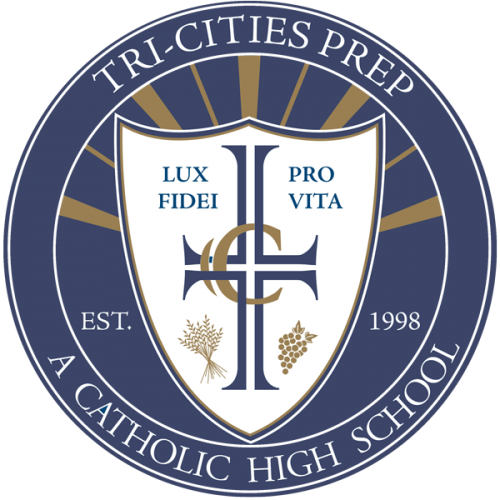 Students will receive a free student and one adult admission to see the Tri-Cities Prep Jaguar basketball teams in action against Seton Catholic HS that evening on campus. The clinic is being held in the Grant Activity Center on the campus of Tri-Cities Prep with registration beginning at 10:00 a.m. Parents are invited to stay and watch. Friday morning the Tri-Cities Prep Class of 2021 assisted the Plumbers & Steamfitters Local Union 598 in building Bikes for Tikes at the fairgrounds in Kennewick. What a blessing for the freshman class to give back in such a meaningful way! Today students in Dr. Arcia’s class were fortunate to hear from Tri-Cities Prep graduate, David Roach. David graduated with the class of 2004 and is currently doing his residency at the University of Washington and is interested in infectious diseases. He works for the University of Washington/Harborview Medical Center along with a clinic in downtown Seattle that serves the homeless. He spoke with juniors and seniors about his residency and research work on Bacteria Genomes and his journey after graduating from Tri-Cities Prep. Welcome back David and thank you for sharing your experience with Prep students!